Commercial fences can provide privacy, containment, security, or add an ornamental factor to any landscape. There are many different styles and material choices to consider. Wood, PVC, Iron, Steel and Chain Link are just a few options available. Many companies say that they can install industrial fences but, do they have solid references? Certain companies will subcontract some of the work, while others will subcontract out all of the work. Leaving you with a less than desirable finished product. Metropolitan Fence has a solid reputation in commercial fence installation. Locally owned and operated, they are well-versed in local ordinances for installation, fence height and property line regulations. They are an all-around fence construction company that is there every step of the way. 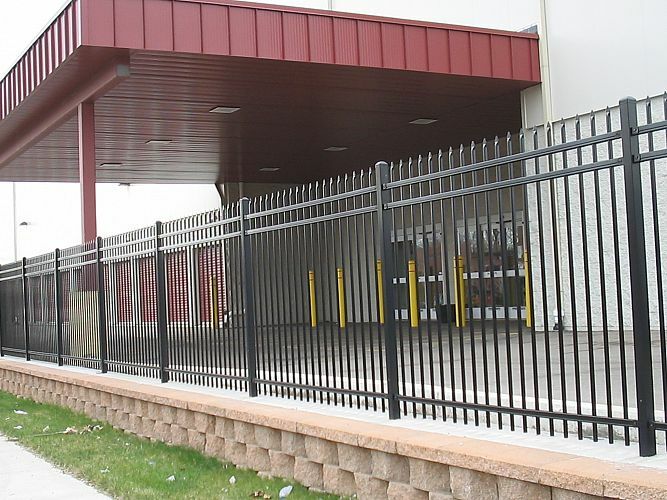 With quality materials and accessories, they can help add value to your industrial or commercial fence needs in Milwaukee. Metropolitan Fence is an accredited member of the Better Business Bureau with an A+ rating. Metropolitan Fence has the experience to make your vision a reality.